With Christmas and the New Year quickly disappearing into the rear-view mirror, it’s easy for the blues to set in. The celebrations are over and you daren’t even look at your bank balance to assess the damage. You might already be scrambling to cancel that gym membership or any other unnecessary financial frivolity that your bank account can’t handle. That’s not the way it has to be, though. With the online gambling market the most competitive it’s ever been, virtual casinos are offering bigger and better bonuses to entice new players. 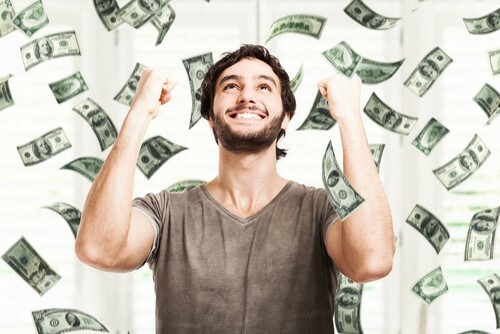 Follow this guide to bonuses and stand yourself in better stead the next time you’re playing your favourite casino games online. As almost every online casino offers a bonus of some kind – that’s one of the reasons they’ve been able to do so well. However, there is a huge variation in how bonuses work. Before you sign up to a poor-value bonus, make sure you understand the main types of bonus to look out for. All bonuses offered at online casinos boil down into two categories: traditional and non-traditional bonuses. Traditional bonuses – AKA cashable bonuses – can be withdrawn in full once the player has met the wagering requirement. On the other hand, non-traditional bonuses have additional terms and conditions attached to them and usually apply to one operator only. Welcome bonus – otherwise known as a sign-up bonus, this is an amount of credit based on your first successful deposit. It’s usually of equal value to that first deposit, and is credited straight to your balance. Play–through – Some online casino offers require you to wager a certain multiple of the bonus in order to claim this. For example, there could be a bonus of £50 at ‘Casino X’, but to claim that you’d need to wager 20 times that amount – which would be £1,000. These amounts vary from casino to casino, just check them out beforehand because you don’t want to sink £1,000 in chase of £50. Jackpot vouchers – these vouchers can be used to bet on casino games and sometimes even the lottery, meaning you could be getting even more for the money you’re staking. FreePlay vouchers – these are readily available across a wide range of games including casino classics and slots. FreePlay vouchers are just what they say on the tin – they let you play and win jackpots for free. You typically receive FreePlay vouchers by email. Daily deals – win varying levels of prizes on casino games, such as £500 for your next bet, usually by using a promotion code when making deposits. Wager Requirements – These are slightly more straightforward than play-through bonuses. In order to claim a certain bonus, you have to wager a certain amount. The most common amounts are wager £50 and get £25 free. No Deposit Bonus – These types of bonuses are the best ones to look out for, and they’re normally reserved for new customers. Online casinos will offer you a cash incentive to sign up, no deposit required. If you currently just use one online casino, there could be a lot of no deposit bonuses out there for you if you decide to play at more than one operator. Comps – complimentary offers such as gifts, or points that can be redeemed for prizes. Comp points reward casino loyalty, and how many you get depends on how long you’re playing for and how much you’re wagering. For example, a £10 wager can get you as many as 1.5 comp points – and 150 comps points can earn you £1 back for your winnings. Match Bonus – again, this is an offer usually aimed at new customers. An online casino will match your first deposit up to a set amount. For example, if your first deposit is £100 with a new casino then they will add £100 to your account, but no more. Sticky bonus – the most common bonus type to find, normally offered to existing customers. These bonuses normally come in the form of ‘free spins’ for slot machines. Free spins allow you to spin the reel without paying for it – meaning you get more shots at striking it lucky but for no extra charge. A Sticky bonus can also be things like £20 to bet on blackjack. You won’t be able to withdraw the bonus amount, you’ll have to spend it but you can withdraw any winnings you make from the bonus wagers. Find out how you can benefit from the many different kinds of traditional and non-traditional bonuses by checking out a gambling expert’s top casino bonus tips. You might think that the shops offer you the best deals in the run-up to Christmas, but that’s not true. The best deals come when the shops are struggling for customers in January – and online casinos are the same. Equally, when an online casino is busy promoting an upcoming event such as a poker tournament, they will tend to make lots of bonuses available to get people playing. Keep an eye on online casinos that host live gambling events and look out for bonuses in the build-up. Don’t forget major sporting events, either. During the 2018 World Cup, British punters spent an estimated £2.5 billion on sports betting. 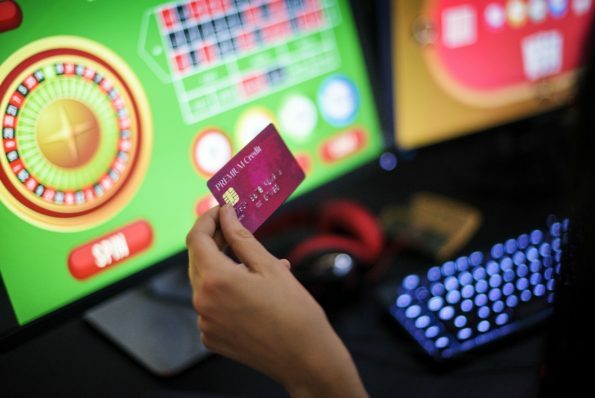 Sure, most people would have been betting on who would win or lose the tournament – but online casinos seized on the opportunity to capitalise on an audience ready to gamble during this global event, and it was a haven for players everywhere. Online casinos are more engaging than they ever have been – and if you’ve never played on one before, chances are you’ll be blown away by how far they’ve come. From live casino, to high-quality games like blackjack and roulette, to slots themed around every niche imaginable, there’s so much to entice gamblers of all kinds. Bonuses are the icing on the cake, but make sure you follow an important piece of advice before signing up. Whichever type of bonus you plump for, read the small print so you know exactly what’s required of you to claim the bonus. For example, some play-through bonuses are specific to one casino game, meaning you’ll have to play-through the required amount on a certain game such as blackjack or poker. Loyalty isn’t as important with online casinos as it is in real life. Shop around, join as many as possible and take advantage of the sign-up bonuses. Make sure you know what bonus you’re getting. How can you redeem it? What do you have to do to be eligible? Is it restricted to a certain game? Keep an eye out on the calendar. Look for big events, or lulls in activity and pounce on any bonuses that come from this. Applicable in New Jersey, US, and in the United Kingdom.